Renown as Yarra Valleys secret heritage treasure, Olinda Yarra is excited to open as the newest addition to Yarra Valley wedding venues. Set on over 1,000 acres of Yering river flats and established 1868, you and your guests will be inspired and have the opportunity to create a truly memorable experience in stunning surrounds. Established 1868, Olinda Yarra’s unrivaled rustic style will overwhelm you with the Queen Anne Homestead, Dairy Sheds, Stables and blue stone courtyard, the silos, established gardens and the iconic Yarra Valley Railway Bridges. Your ceremony can be performed in many locations – on the steps of the homestead, or the historic Dairy Shed Chapel and Stables courtyard or your choice among acres of century old gardens. 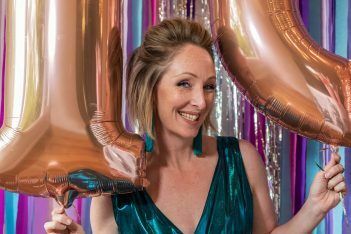 Celebrate in our stunning marquee on the lawns surrounded by acres of gardens with a botanical feel, rare Chilean wine palms, enormous magnolia and monkey puzzle trees and old English oaks. Beyond this, enjoy stunning views of the Yarra Valley mountain landscape, the oak-tree boulevard, iconic railway bridges and grazing Angus cattle. * Venue hire only with your chosen caterer for Ceremonies only or Ceremony plus Reception. 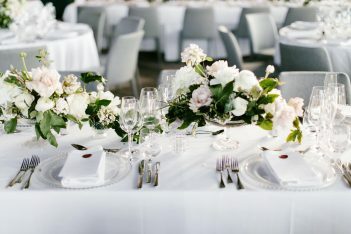 * Venue hire with fully catered food and beverage packages including Ceremony plus Reception offering superb meal choices from cocktail, street food, shared platters and plated meals. • One hour Ceremony with chairs and signing table in your choice of locations around the venue – acres of Gardens, Homestead veranda, Dairy Shed Chapel, Stables courtyard or the Silos. * BYO beverages with a storage, glassware and service fee starting from $1800. 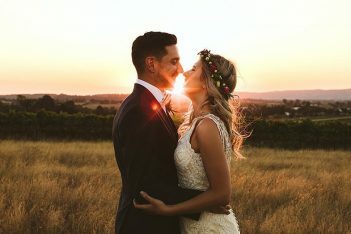 Only a 45-minute drive from Melbourne, within 5 minutes of Yarra Glen and 10 minutes of Lilydale with nearby, public transport and Lilydale Private Airport, Olinda Yarra provides an incredible venue and atmosphere with great proximity creating a seamless experience for you to celebrate your wedding. We look forward to working with you to make this your most memorable day. Raise your Wedding on the Farm! For over a decade we are proud to own and operate Olinda Yarra as a successful working cattle farm, which has been making history since it was founded by John Kerr over 150 years ago. In 1868 John Kerr purchased 1,500 acres of semi swamp land on the river flats near Yarra Glen naming it Olinda Yarra – from the properties Yarra River and Olinda Creek frontage. Two years later John married Elizabeth MacIntyre and they grew to a large family with 10 children living in the custom built Queen Anne Homestead. Renown as once being the largest and most advanced dairy cattle farm in the region, John, Elizabeth, his family of ten children, farmhands and horses cultivated the land and successfully grew quality pasture to feed his large dairy herd. By 1880, he had milking sheds covering about a quarter of an acre and a staff of 17 to help send 200 gallons of milk to Melbourne daily. Using the old Yering Railway Station to transport the milk, the legendary Railway Bridge located on Olinda Yarra showcases these times. The stables and dairy sheds are currently still being used for farming purposes. John led the way in innovations, building the first silos in 1912 for making silage hay, an important part of cattle feed programs to this day, and these silos remain an iconic feature of Olinda Yarra. John was a man of great force of character and natural ability. But he was also something better, renown as a man of high moral principle and unswerving goodness. People and community mattered. John ensured Olinda Yarra played a huge role in the welfare of the district, with Olinda Yarra hosting many community, fundraising and private events for guests coming from near and far to support each other, celebrate, laugh and enjoy good times. And the tradition continues, with Olinda Yarra being such a popular place for festivities. As current owners, we too are very passionate about sharing its history and offering this magnificent property for your enjoyment and memorable moments.